Senior illustration major Jeff Lang, of Mechanicsburg, a non-traditional student, Marine, and father of two, has taken a different path to earning his BFA degree than many art students and, as such, represents the diverse nature of PCA&D’s student body. Not only is Jeff, in his mid 30s, older than most at PCA&D, his background and outside interests do not fit the typical stereotype of an art student. But he had no regrets, “The military, the Marines, definitely grooms the bad habits and lack of discipline out of you. It remolds you,” said Jeff. Following his military service, this Marine returned to the States for family reasons and to care for his young son, and settled in Mechanicsburg. He returned to the Middle East in 2012 as a contract employee working for the military in Afghanistan. Encouraged by family, coworkers and friends, he returned to college through the GI Bill, this time as a transfer student at PCA&D. Despite Jeff’s appreciation for his time in the military, his art takes a completely different direction: sports. His senior project is a timeline of baseball, focusing on the storied past of the New York Yankees, although he is quick to renounce all allegiances to the team. 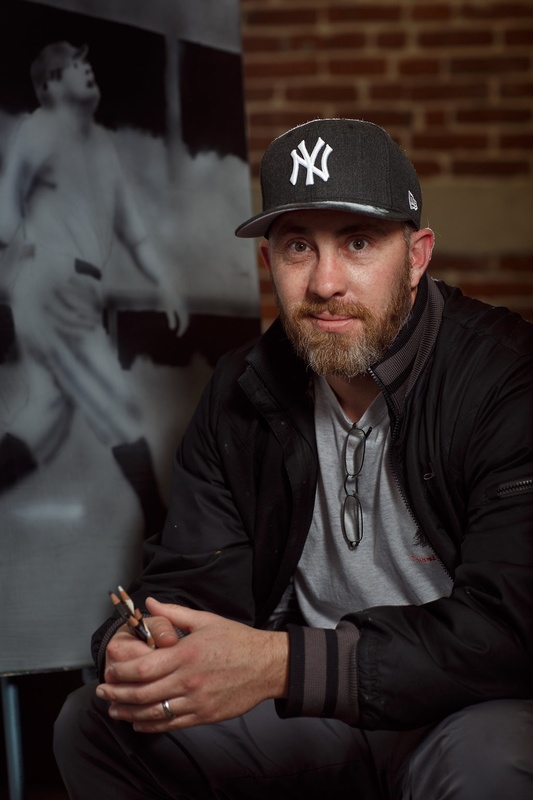 After commencement, he plans to focus on an entrepreneurial endeavor that includes portraits of current and historical sports icons on traditional media as well as on the brims ball caps. One portrait of Jim Thorpe, pictured, was featured in PCA&D’s Spring mailing to friends of the college. 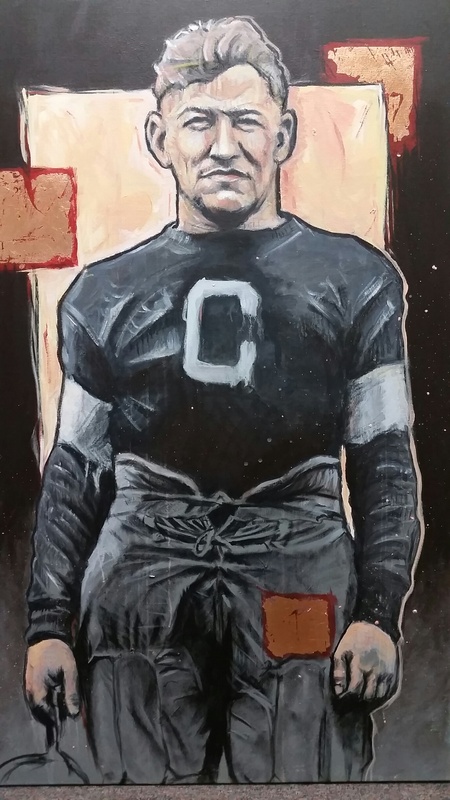 “I grew up in Carlisle, and consider Jim Thorpe to be one of the best athletes of the 20th century, At a Sports Art Gala, my Jim Thorpe piece was judged Best in Show” said Jeff. In addition to his college courses and working on his senior thesis, Jeff is employed by Best Authentic, a supplier of authentic autographed sports memorabilia for charity fundraising events throughout Central and South East Pennsylvania and enjoys participating in activities with his son, age 13, and daughter, age 3. His wife Heather is a grooming salon manager at Pet Co. in Mechanicsburg.